A mobile app called ChatWatch apparently allows users to track their friends’ WhatsApp activity by using some metadata that the Facebook-owned messaging app collects on its users. According to reports, the app uses the WhatsApp data to help people find out the activity of their friends and family even with the ‘last seen’ functionality hidden from public view. The app charges $2 per week to monitor a pair of numbers, but you can pay more to snoop on up to ten people at a time. 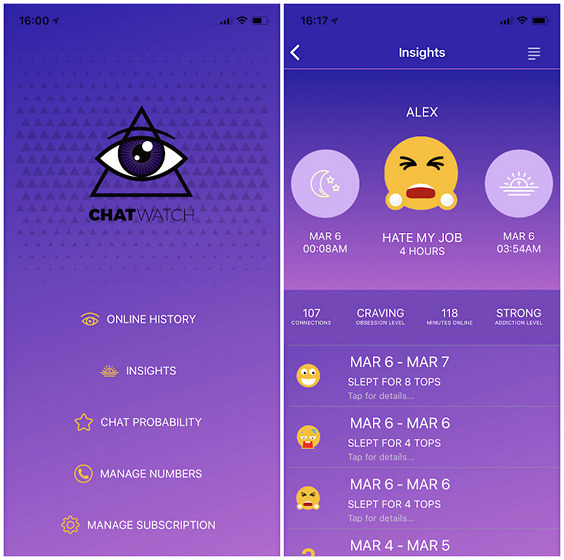 On its official website, the developers of ChatWatch claim that the app uses artificial intelligence to help users find out when their WhatsApp contacts “went to bed, how long they slept, even compare chat patterns between people you know, and we will tell you the probability of them talking to each other during the day”. The devs also claim that the software can let uses see the online history of their WhatsApp contacts by “scrolling through their activity timeline to see exactly when they were on their phone chatting on Whatsapp”. Unsurprisingly, Apple has already suspended the app from the App Store after various blogs started reporting on it, although, the Android version is still listed on the Play Store. We haven’t tried it out ourselves, but it has an abysmal rating of 1.7 on the Play Store, with reviews calling the app “fake”, “prank” and “fraud”. While all of the above is super creepy any which way you look at it, the fact that it is a paid app (and that too, a relatively expensive one for long-term stalking) is probably a saving grace, but in any case, one would hope that WhatsApp will get its act together and plug the loopholes that allow such third-party to exploit their technology.